Kicking the plastic habit just got a lot more convenient, thanks to these reusable food covers. They’re made from 100% food-grade silicone and designed to stretch, so you can fit them over all types of dishes, bowls, and pans. We tried them on glass, stainless steel, porcelain, and earthenware containers and got a snug, airtight fit every time. Jules first discovered reusable lids when she was traveling, and that got us hunting for a dependable alternative to plastic wrap and aluminum foil. We found it with Silikomart’s Coverflex lids. They’re safe for use in the freezer, refrigerator, dishwasher, microwave, and oven. They stick more uniformly than plastic wrap, plus you don’t have to worry about leaching harmful chemicals. Best of all, Coverflex lids don’t get tossed in the trash after just one use, so they’re better for the environment and your wallet. (Quick tip: For a secure fit, make sure the container you’re covering is dry.) We’re betting you won’t miss fighting with unwieldy, overly clingy plastic wrap! Hi Daily Grommet. My name is Bob and I am one of the people who represent the Coverflex products. Coverflex lids are new to the US market and have been very well received. People love having a kitchen solver that is convenient, effective, and takes the place of single use solutions. Coverflex lids are all that. I am here to answer any questions you have. How many uses can you get before they are either stretched out & don't adhere OR just need replacing? @EllenCF: Great question and we are checking on it! @EllenCF: These are going to last a long time with normal use. I located someone who has had a set for two years and it's still going strong. Silicone does not degrade easily or lose its stretch. I also want to assure everyone that we will stand behind every purchase from Daily Grommet 100% so if you do have any issues, please let them know so we can make it right. I am so excited about this product. My husband teaches environmental science and he has a fit if any of us puts plastic wrap in the microwave! I love that it can fit over a square baking pan. Is there a size available that would cover a 9x13 pan? How difficult is it to remove a cover from a hot, fresh-from-the-oven pan, like lasagne for instance? I'm planning to buy some regardless; they will beat Press-N-Seal hands down. @Karen: The large can fit over a 9x13 pan. I've done this to make lasagna myself! When it comes out of the oven you do need to let it cool, but silicone cools rather quickly so 2-3 minutes should be enough. Looks like a great product! what temp are they oven safe to? @Sara: They can be used at temperatures between -76 and +446 degrees F (-60 and +230 degrees C). These are great! Can they be used on plastic bowls for storage as well? Do they "stick" to the plastic to form a tight seal? How nice it would be to chuck all the stupid tops in my plastics cabinet and just use a few of these! Also, do they really come clean in the dishwasher? They don't dry out? @Karen: Glad you you like the Coverflex lids, Karen! We tried them on one plastic bowl here, and it stuck well. We're not sure about all plastic bowls but we're checking with Coverflex and we'll get back to you on that. I've personally had good luck with silicone lids in the dishwasher. Though they're not always completely dry at the end of the cycle, the lids get clean and are still perfectly stretchy and not at all dried out. @Karen: I've used Coverflex on 3 different types of plastic at home (and they're all the standard types) -- they've stuck to them all, so you should be all set. As far as the dishwasher goes, I've run them through myself and while they do hold up well, as Kate said and definitely do not dry up, water does tend to get trapped in some spots. If that's an issue for you, I'd say wash and dry by hand. What I like to do is hang them on hooks to dry and that works just great. Thanks for dropping by - we're happy to answer your questions! I bought a set of Coverflex a couple of years ago from a catalog. I must be doing something wrong as occasionally I will put a cover on and it will work great. However most of the time as I am putting the cover on, the side I thought was on securely slides up the side of the container and comes off. I try multiple times to get in on then I put the Coverflex back in the drawer and get out the other covers I use with elastic. I see many advantages to the Coverflex but I can't get them to stay on most of the time. Any hints? @Karen : We will look into this further, but the only trouble our tester experienced was when the container's surface was wet. If you do purchase a new set from us and experience the same issue be assured that you can work with us for a refund or exchange. The problem may be related to the fact that the surface area around the lip of the container is wet. Maybe cleaning out a dish and not drying it thoroughly first…or…it may be making something in the dish first (like tuna fish) and while mixing in the bowl some water/oil may be accidentally getting on the lip of the dish. It also may be dependent on the type of container being used. Does this always happen with the same dish? Like a fitted sheet, if one corner is not securely fastened and pulled over the mattress lip it may pull off when securing the other corners. Please let me know if this helps solve the problem. If not, let me know what types of dishes seem to experience this problem and I’ll do a little testing. i would definitely use these. when do you expect to have them back in stock. the website says august and it's 8/16/2011 today! @Sarah Garrigues: They are coming from Italy and we are now expecting them late August/early September. I'm not satisfied with the lack of versatility that was advertised on the Grommet video. Mine never can fit on square pans (however, my square pans are all glass and more slippery than the metal ones shown in the video.) And I tried to stretch them on a bowl a bit larger than their size and they slip off. So, I use them only on bowls their size. @Judy Rempe: I bet our testers didn't have a square glass pan to test it on. Thank you so much for posting that it's not a good solution in that instance so that others will be armed with more information. I use them myself and am able to stretch them slightly larger than their size so again, it may be a function of needing a grippier surface for this to work. We never want you to be disappointed with a purchase, so please contact our customer service team if you would like to return them. Again, thanks for stopping back to share your experience. Please correct me if I'm wrong, but it looks like these work best when the top of the container is the only thing the cover is in contact with. I've been looking for something to cover a pie, like with the crust being above and/or pressed onto the container lip. If this is not a good application for these covers (interferes with adherence or would make a mess of the crust, etc) maybe it is an idea for the makers to work on and come up with another product for? I know I'd be interested. We now use a similar brand-name product with and elastic edge, but the elastics wear out, the covers are not dishwasher safe, and the plastic is not as durable as the silicone ones look here. @Emily: You are correct, these would make a mess of the pie crust because they are pulled taut from edge to edge and would crush the crust. That's a great idea, though, to find a solution that works to cover pies that is reusable. I will pass it along! Judging by previous question by Judy Rempe, these are not good for use on glass? I only use glass since we are trying to get away from plastic and aluminum use. Do they work on round glass? just not square? @Donna : Judy reported that it didn't work for her. I just tried it on some glass storage containers that I have that are round and the grip was good. The Coverflex lid worked great. It may have been another issue completely that she was experiencing. Perhaps the edge wasn't completely clean or the lid itself got some food on it as she was stretching it across her pan. It's hard to say for sure. If you do get these lids and find that they don't work for your purposes, you can return them within 30 days. I am very happy with them and use them often but have found that every once in awhile I do get some food or dressing on the lip of the container that causes the lid to slip off. How tightly do these seal onto a container? Securely enough for me to take lunch in something using one of these covers and not be concerned about it sloshing all over me and the car, etc.? Thanks. They sound ideal and I was intrigued upon learning about them in Reader's Digest magazine. @Cate: When I travel, I keep the containers, covered with the lids, upright and in a plastic bag. The lids provide snug, airtight fit but might come off if containers are tilted or upside down. I love using the lids, knowing I'm doing my part in helping the environment and less dependent on plastic wrap and aluminum foil. Question: Can these be used in the microwave to cover cooking food?, For example, to heat up soup or spaghetti sauce which splatters quite a bit. If so - I will be buying some of these. Also, what about covering large glass measuring cups? 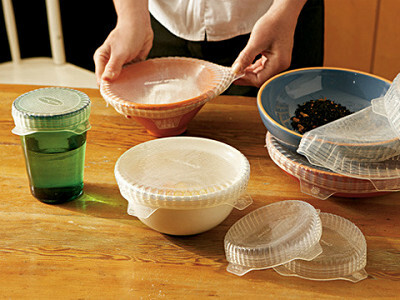 @ Rosa: The Coverflex covers are safe for use in the microwave, freezer, refrigerator and oven and is dishwasher safe. They can be used at temperatures between -76 and +446 degrees F (-60 and +230 degrees C). The covers come in 3 sizes: 3.5, 4.3, and 6.3 inches in diameter. Check the diameter of your large glass measuring cup. If your measuring cup is not all round in diameter, you won't get a tight fit with the Coverflex. You can read more info in the DETAILS tab (under video) where the Grommet is featured. I would say I am overall satisfied with this product, but the slipping when they are wet is an issue when you live somewhere humid (like Oregon) as the condensation that forms when you take a bowl out of the fridge can prevent you from reapplying the lid. I also have had a hard time putting the larger size on a large bowl myself- lots of I Love Lucy type chaos often follows. We've learned how and when to use them however and I love that I'm not using plastic wrap anymore. @ Jennifer: Thanks for your patience with re-applying. Same with me, once I figured how to put on the larger ones, it's easy now. It feels so good using very little plastic wrap, plastic zip bags and aluminum foil. You might like to consider having another Grommet - UFO Silicone Lids where you don't have to "wrap" the lids over your containers. I have these lids too which are great for bigger sized containers. my containers. I stretch, they pop off. Not a happy cook. In reading the other comments, I noticed that the lids have to be completely free of moisture of any kind. Even then, it's no guarantee they'll stay put. This is not a good selling point. If this is supposed to considered a "green" product, it's not a good one, since it's not easy to use nor reliable. People will return to the plastic wrap that these lids are supposed to replace. @Judy Rempe: Thank you for sharing your concern. 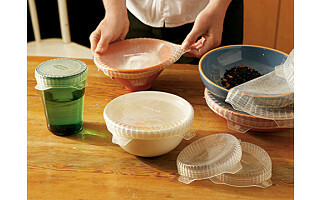 We hope the lids will grip well once you make sure there's no moisture or food on the lids or edges of the containers. I bought these some time ago and have been mostly frustrated with them. They work only if there is no moisture or food on the bowl. They don't stick to the container and if you do get it to adhere, once some condensation starts to appear, they pop right off. When you're dealing with leftovers, it's practically impossible to have a clean, dry rim of a container. @Amy Ritger: I use them too & yes, it's a "must" to make sure there's no moisture on containers. It's worth the extra wipe off since it feels so good to use very little plastic & foil. I'm not experiencing the pop up from condensation. We appreciate that you gave the Coverflex a good try. 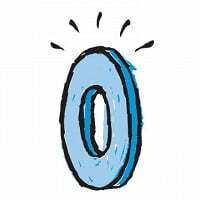 We want you to be happy with our Grommets, so you're welcome to return them within 30 days of purchase. Please contact [email protected] for the return info. I LOVE these!! I bought one set and am now ordering another set. They work well and are so much easier and eco-friendly compared to plastic wrap. Thanks for offering such a great 'grommet'! Kicking the plastic habit just got a lot more convenient, thanks to these reusable food covers. They’re made from 100% food-grade silicone and designed to stretch, so you can fit them over all types of dishes, bowls, and pans. We tried them on glass, stainless steel, porcelain, and earthenware containers and got a snug, airtight fit every time.